Cosmopora K14 by De Majo is a series of contemporary modern chandelier and wall lights that form a round spherical design with glass blown plates. 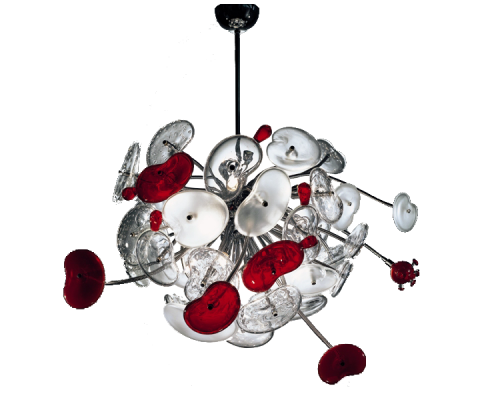 These modern chandeliers are handcrafted in murano glass. Organioptical by De Majo is a series of contemporary modern chandelier and wall lights that form a round spherical design with planetary glass discs orbiting each arm. 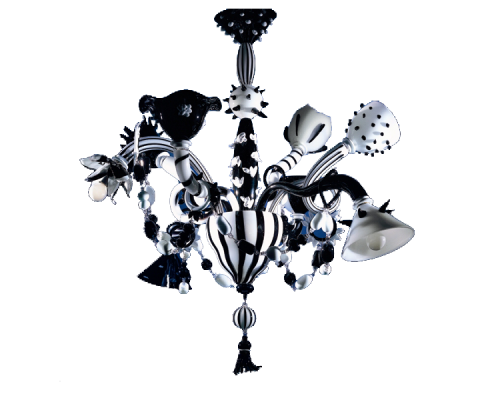 These modern chandeliers are handcrafted in murano glass and available in black and white pastel glass.